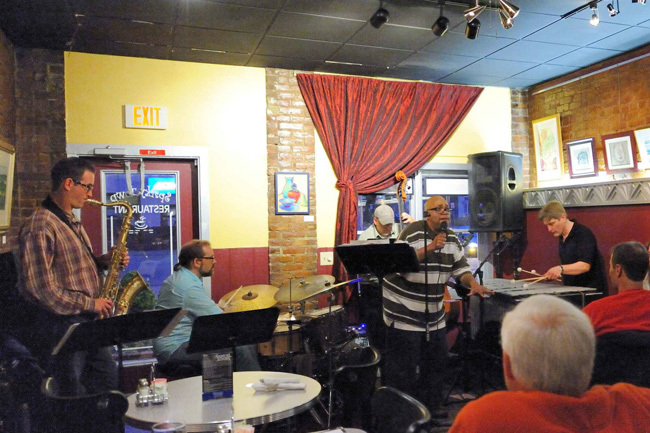 The Matthew Rockwell Group (like on the facebook) will be making the trip out to Utica this coming Saturday, June 14th as part of the entertainment for the For The Good, Inc.’s Juneteenth Jazz Night event, sharing the stage with some notable Utica heavy hitters. The band at Sparkytown, 23 May 2014. Photo by Jack M. Hardendorf. 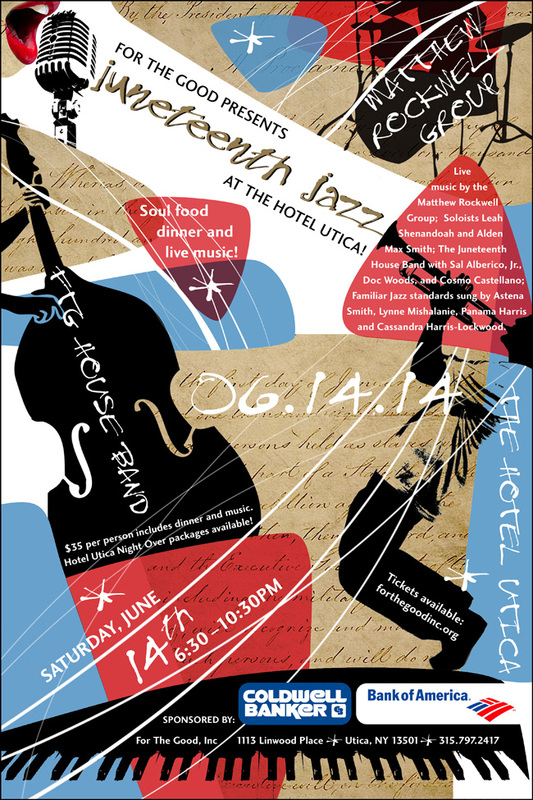 For the Good will host the 2014 Juneteenth Jazz Night at The Hotel Utica on June 14th, 2014. The fun starts at 6:30 PM and the event will end at 10:30. The price of tickets is $35.00 pre sale, $40 at the door. A Soul Food meal will be offered and Night Over packages at the hotel are an option as well. For more information contact the offices of For The Good, Inc. at (315) 797-2417. About For The Good, Inc.
For the Good, Inc. is a 501(c)(3) not-for-profit organization founded in 2002 and based in historic Utica, New York. FTG works to benefit the Utica community providing low-income residents and their neighborhoods with programs to overcome poverty through their own means. For The Good has established itself a valuable, productive contributor to the community. FTG is home to the Utica Phoenix, an independent paid monthly newspaper, Mohawk Valley Entrepreneurs Guild, Utica’s Urban Community Gardening Initiative which has fed hundreds of Utica residents at risk for hunger since 2008, The Oneida County Black History Archive and the Study Buddy Club, which connects inner city teens with Hamilton College mentors for academic tutoring. For The Good also promotes the art of Paul Parker as executor of the Paul Parker Utica Trust. For the Good invites collaboration with individuals, businesses, other not-for-profits, and the greater Utica community on youth empowerment and economic development projects. We strive to give under-represented Utica residents a voice, and facilitate a better quality of life for the entire community.